On July 13, 2018, The U.S. Food and Drug Administration (FDA) joined 22 other countries announcing a voluntary recall of several drugs containing the common ingredient valsartan. Valsartan is used by millions world-wide for the treatment of cardiac conditions like heart failure and high blood pressure. An impurity known as N-nitrosodimethylamine (NDMA) has been found in the medication, a likely unintended by-product of the manufacturing process. NDMA has been shown to cause cancer in laboratory studies according to the Environmental Protection Agency (EPA). Exposure to NDMA can cause tumors in the liver, kidneys, and the respiratory tract. Because the presence of NDMA is thought to have come from a manufacturing process not all suppliers of the drug are being targeted in the recall. The U.S. recall includes the the versions of valsartan that are made by Major Pharmaceuticals, Solco Healthcare, and Teva Pharmaceuticals Industries Ltd. as well as valsartan/hydrochlorothiazide (HCTZ) sold by Solco Healthcare and Teva Pharmaceuticals Industries Ltd. In Europe and Asia, Novartis, the company that originally developed the drug, said Sandoz valsartan and valsartan/HCT film-coated tablets are being recalled. Pharmacies in the UK are advised to recall valsartan batches containing medicines made by Dexcel Pharma Ltd and Accord Healthcare. The FDA’s Press Release contains important information for patients. After reviewing the release notes, patients should contact their prescribing physicians if they have any questions or concerns. Physicians can help the patient determine if they should switch to another medication and answer any questions they may have. 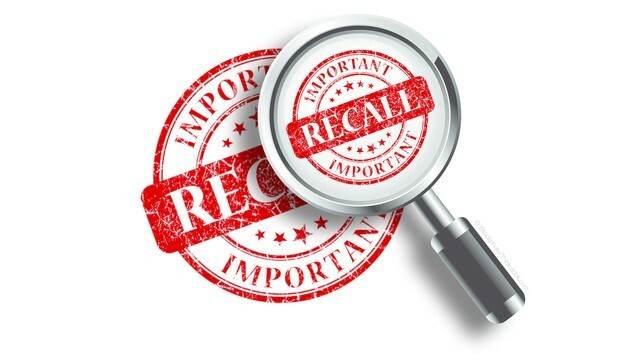 The FDA’s website also shares helpful information to guide patients affected by the recall. Events like this highlight the need for real-time patient communication methods and protocols. Do you have one in place? Every provider should have a patient communication protocol that details how to communicate with patients in emergency situations. This is similar to a Disaster Recovery Plan. Having a patient communication protocol in place before an incident occurs alleviates the stress of everyone involved. You don’t have to panic because you know you’ve already prepared. Assuming you have a protocol in place, your focus should be on identifying patients who are taking the recalled medication and developing alternative regimens for them if appropriate. Your protocol will outline your communication tool or method, which should include a HIPAA-compliant communication platform. While staff could begin a phone campaign to address needs like this, it not only burdens them but can also put non-clinical personnel in the inappropriate position of handling medical questions from patients. A secure texting app will allow you to develop the broad communication, send it securely, and direct responses back to a clinician who can take appropriate prescribing actions as needed. If you don’t have a patient communication protocol in place, your first step will be to develop one! An effective plan will answer these three key questions: How, why, and who? This should include which HIPAA-compliant applications for bi-directional communication are currently at your disposal. If you don’t have one, get one. Mobile solutions tend to be the easiest to implement. Other features your communication platform should include are PHI-protecting encryption, the ability to send real-time communication with message tracking, EMR interoperability, and the ability to continue work with or without Wi-Fi coverage. Medication recalls are a perfect example. Other reasons to communicate with patients in a timely manner include medical device recalls, lab results, illness outbreaks, and other food and drug recalls. You may also need to communicate with patients during times of local and national disasters such as wildfires, hurricanes, and more. Maintaining an active patient directory is essential. This may come from your EMR, census, or even billing software. Regardless of where it comes from, it should be immediately available to you when needed. Whether you need a tool to help communicate this or other important information to your patients, or you need help developing an effective patient communication protocol, QliqSOFT can help. To request more information about our HIPAA-compliant secure messaging platform, contact us today.